Every Sept. Curtis Guise of the Dezert People production company host a viewing of their newest movie. 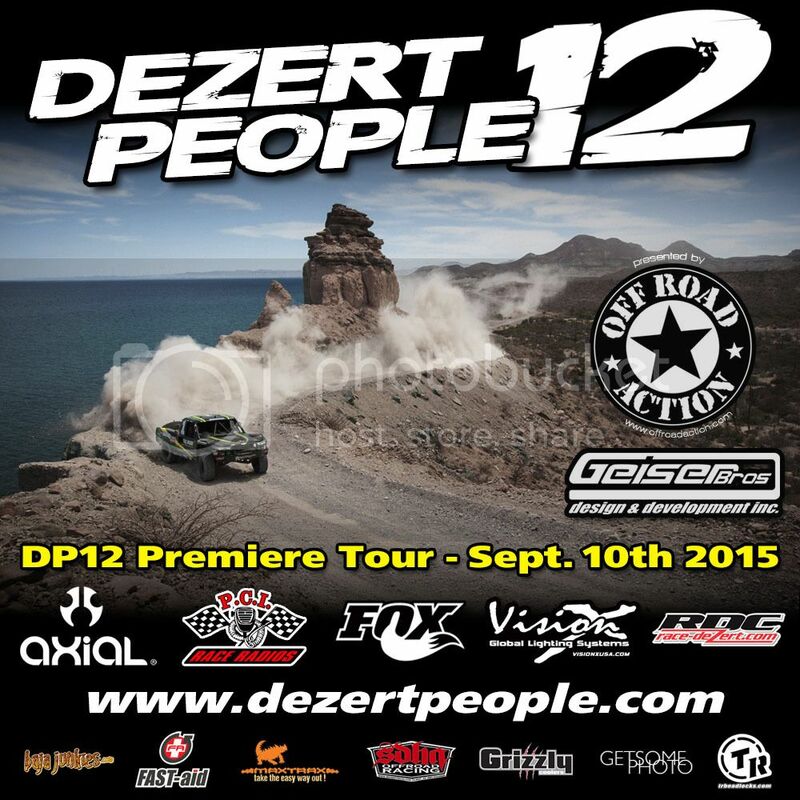 Dezert People 12 will be shown Sept 15th at the Studio Movie Grill in Scottsdale. Show times are 7 & 7:30pm. In addition to the movie, there will be a car show in the parking lot. Race vehicles of all types will be on display all night. Bought my ticket today. Should be a lot of nice vehicles on display. Tickets available online now. Show is one week away. It was nice to see all those from AzBaja who attended last nights premier of DEZERT PEOPLE 12. As usual it was a great film with lots of action. If you didn't go you missed a lot of fun. Trophy trucks in the parking lot were nice and several of the chase vehicles and prerunners showed how racing technology is making its way into the daily driver arena. A SPECIAL THANKS to Curtis Guise who created the DEZERT PEOPLE series. He once again stepped up and donated a bunch of videos for our annual Hassyampa event. If you want to purchase a copy of DP 12 or any of the previously made videos click the DEZERT PEOPLE link below.